Jones is being treated well by Twitter in more ways than one. 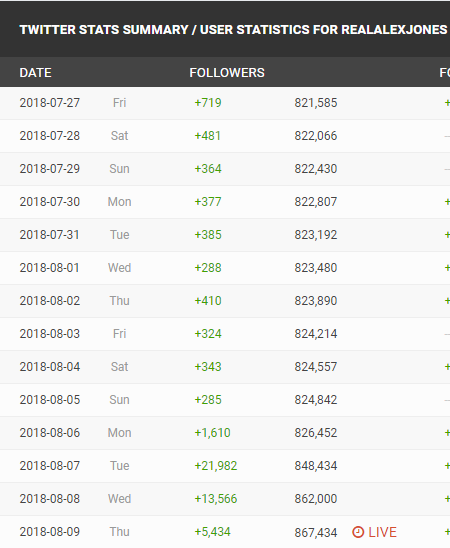 According to SocialBlade, Jones has gained 42,592 new followers over the past 3 to 4 days. Previously, Jones was gaining about 400 followers per day. This jump makes sense. If somebody wishes to "follow" Alex Jones on social media, Twitter is the only decent option remaining. I wonder how long until he passes a million followers?